I managed to get this one under the wire for the last Simon Says Stamp Challenge over at Flickr! The Challenge was colouring in honour of the 30-day Colouring Challenge hosted by Kathy Racoosin. For anyone that follows this blog or knows me, you know that I am a crazy dog lady LOL! 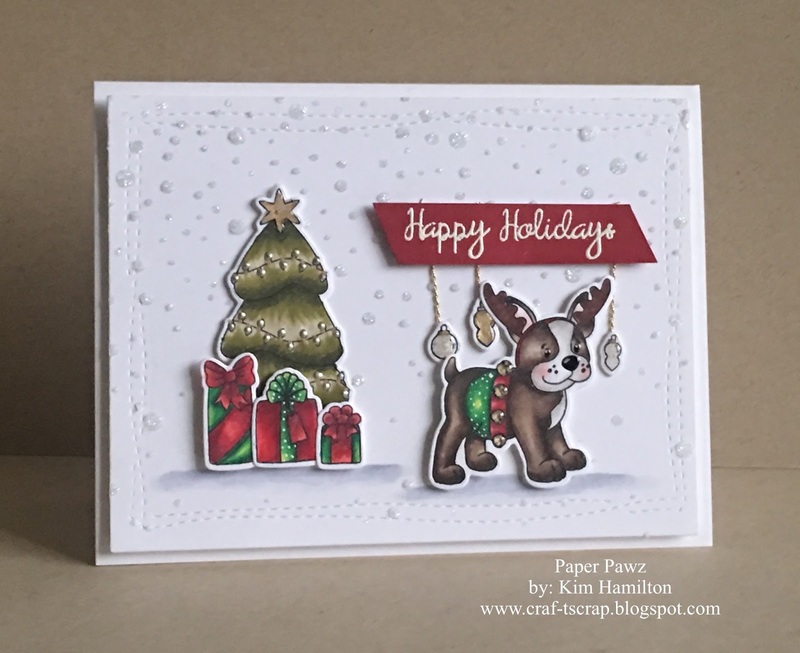 This card features the Simon Says Stamp Simon and Dexter Christmas stamp set and the Simon Says Stamp Falling Snow Stencil. I honestly love this set from last year, and colouring Simon is always fun! This card is actually for one of my deer friends who has a dog just like Simon!